The Kendale Lakes personal injury lawyers at the Wolfson Law Firm in Miami have been helping people since 1963. We know what to do if you were injured in Kendale Lakes. Our Miami personal injury lawyers can represent you against the responsible people or corporations. We will aggressively represent you and your family in pursuit of full, fair and complete compensation. Our Kendale Lakes injury attorneys in Miami will work vigorously to hold the responsible parties accountable for your harms and losses. Call today for your free consultation at (305) 285-1115. Kendale Lakes is Miami suburb located in southwest Miami Dade County. In the 1980’s it was a bedroom community in the classic suburban design. To this day, it remains a very pleasant and populated suburban community now populated with large national chain stores on the major roads. It is surrounded by West Kendall and Kendall. A rather small area, its population as of 2010 Kendale Lakes counted 92% of its estimated 56,000 population being white or Caucasian including Hispanics. As of 2000, Kendale Lakes had the 13th highest percentage of population of Cuban residents in the United States. In that same year, those who spoke Spanish as a first language constituted over 82% of the population. If a family member was tragically lost in some type of accident, the Kendale Lakes wrongful death lawyers at the Wolfson Law Firm can guide and counsel you. Our Kendale Lakes accident attorneys offer you representation if you were severely damaged due of the actions of another person, company or corporations. Just call us at (305) 285-1115 today so we can get to work for you. The Wolfson Law Firm offers bilingual consultations with our Managing Attorney Jonah Wolfson and his personal injury team. He is a life-long resident of Miami-Dade County and former City Commissioner of Miami Beach. 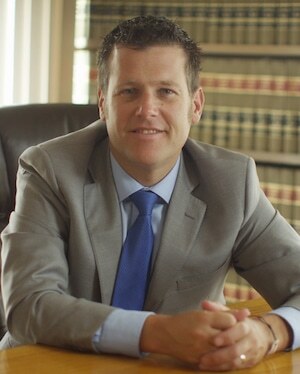 Jonah is a bilingual personal injury attorney and wrongful death attorney in Miami who serves Kendale Lakes. Our Miami personal injury lawyers serve the residents of Kendale Lakes as well as the surrounding communities of Kendall, Dadeland, The Hammocks, The Crossings, South Miami, Goulds, Westchester, West Kendall, Florida City, Homestead, Cutler Bay, Calusa Country Club, Richmond Heights and Sunset.